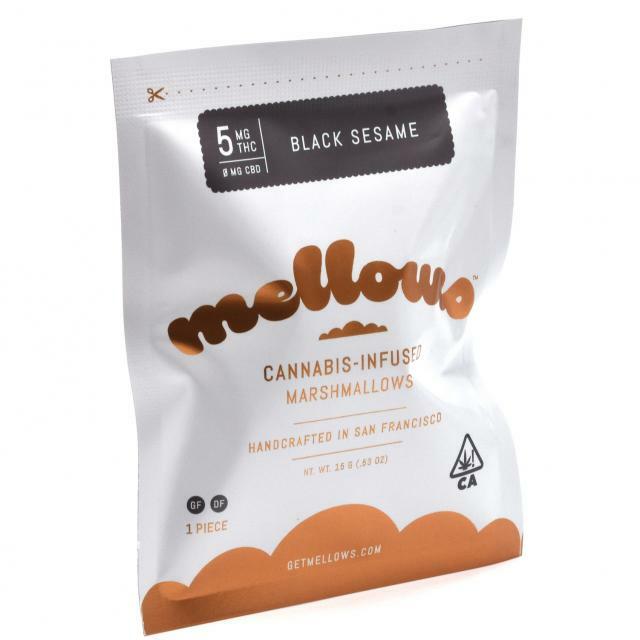 Mellows are low-dose, gourmet marshmallows, handcrafted in San Francisco. The finest in medicated confections, with a variety of delightful flavors available, our small-batch marshmallows look, taste, and make you feel wonderful. OUR LOW-DOSE EDIBLES ARE APPROACHABLE. Mellows come in bite-sized pieces that are 5 mg THC each, making it easy to control the dosage that’s right for you. No need to worry about splitting it or cutting it up into teeny tiny pieces. OUR TREATS ARE CAREFULLY MEDICATED. Mellows are medicated using coconut oil infused with solventless hash, which means tasty, pure, bio-available goodness. 100% premium single-origin Red Congolese sativa gives Mellows their signature weightless euphoria and elation. OUR MEDICATED MARSHMALLOWS ARE HANDCRAFTED WITH LOVE. We care about the details and the delicious. That’s why each and every batch of Mellows is whipped, cut, and gussied up by hand.